Discussion in 'Music Corner' started by EchoStars24, Oct 11, 2018.
johnsiddique, jdrueke, MONOLOVER and 4 others like this. That's a tough one...they all have their own individual appeal. I think it would have to be between II and HOTH..as it happens, those are the two I bought in super-deluxe format. In close second is IV. LZ I, the iconic image. jdrueke, Mad shadows, tmtomh and 2 others like this. I picked III if only because it's the most interesting/fun(?). elvismcdouglas and danner like this. Fullbug and loudinny like this. apple-richard and tmtomh like this. Tough call for me. I went with I. But I really like PG die cut fun. III has never done anything for me. The debut cover, which is still my favorite Led Zeppelin album. Probably III for me. Love the confetti-like layout of objects. There is always something new to discover when staring at it. And the inner gatefold is more of the same. And of course the whole spinning wheel gimmick was a master stroke. Probably II or In Through The Out Door. Each cover is its own thing though. Perfect for the albums inside. St Marks Place, NYC. A street I traversed thousands of times. A Saucerful of Scarlets likes this. The debut is the most iconic, but I voted for Physical Graffiti because it has so much detail. But I forgot about III and that crazy collage wheel. Still like PG a smidge more though. LZ I. But this cover well illustrates the tragic end of LZ. III is one of the greatest album covers in the entire history of album covers. Motorcity supernaut, sbeaupre and Aftermath like this. My favorite and I love "The Wheel". I usually keep it on John Paul Jones. Zeppelin I gets my vote because it is such a great visual representation of the bombastic explosive album that is. A Saucerful of Scarlets and bonus like this. Sets up their whole career really. My vote goes to LZ II. Love the cover and of course the music, my favorite album period! But I love all the LZ covers, yes even Coda. Led Zeppelin IV for me. Has a certain mystique I can't articulate. 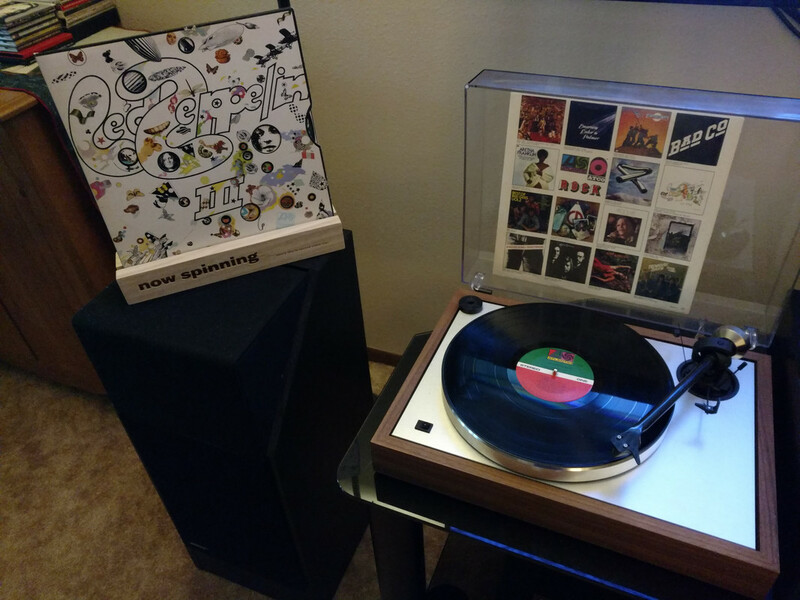 Second and very close choice would be Led Zeppelin III. Such a fantastic idea. johnsiddique and Pines Brook like this. In through the out door !!! Not even close for me, LZ IV. Symbols for the boys and a non subtle middle finger to the critics with no title or track listing. Special album for me as Black Dog was the first Zep song I ever heard at 13 and the hair on the back of neck literally stood up. BDC, steve phillips and Pines Brook like this.